After twenty blissful years together, Vincent + Fidel finally had the opportunity to say "I Do"! 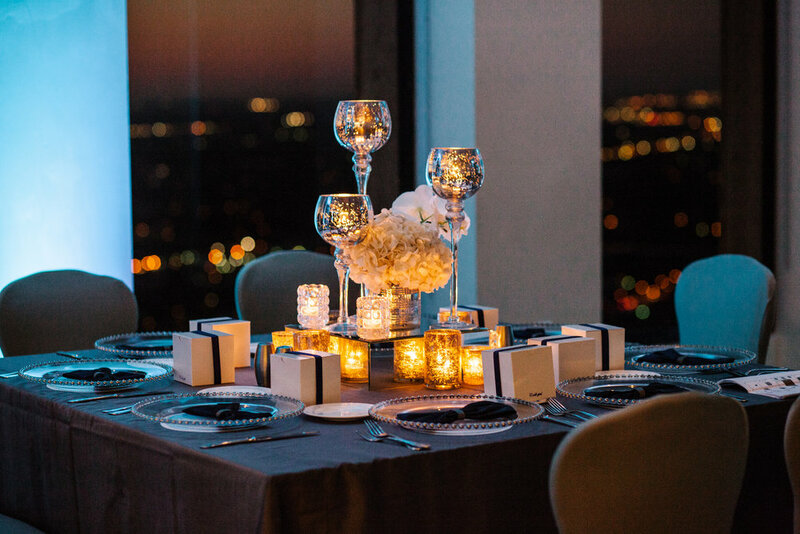 Amidst Downtown Houston as the backdrop to their intimate wedding, our lovebirds professed their love and devotion for each other in front of fifty of their closest family and friends. A clean, modern, yet urban style is how we can best describe Vincent + Fidel's wedding. An exquisite palette of navy blue, dove and shark fin gray, with touches of silver and white best described our grooms' taste. A medley of white florals amidst a plethora of candles set in mercury vases, created a romantic, yet intimate environment. Textured blue lighting washed the walls perfectly, contrasting perfectly against the beautiful night sky, which could be viewed from the floor to ceiling windows. The view: pure perfection! 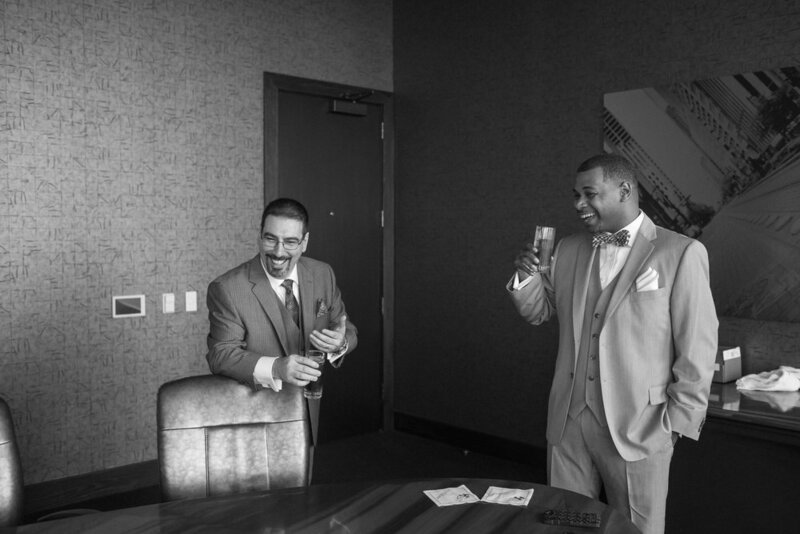 Beautifully documented images by the talented Akil of Akil Bennett Photography, feature the joy and happiness of Vincent + Fidel!